While there is no single right way to train all dogs, there are some common myths and misconceptions about training that we’ve all heard or believed. Here they are…debunked! 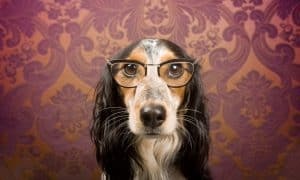 With so many schools of thought, developed over hundreds of years of training dogs to be obedient, well-mannered, or appropriately behaved for sharing homes and hearts with humans, it’s easy to understand why so many pet parents are overwhelmed when it comes time to train their dogs. 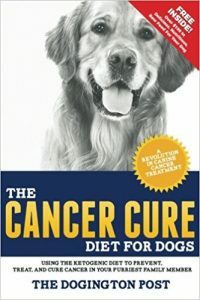 Luckily, behaviorists, trainers, and researchers have made huge strides in determining how and why dogs do the things they do and how we, as their caregivers, can build a happy and harmonious life with our furriest family members. Once one of the most popular methods of dog training, the dominance or alpha method has, in the last decade, been proven by behaviorists to be unnecessary and, in some cases, detrimental to effectively training a dog. While some trainers still advocate for dominance and aversive training, including, for example, the use of choke or prong collars, punishment, and “alpha rolls” where a dog is aggressively rolled onto their back and held in place until they show submissive behavior, these methods are no longer recommended by the scientific and behavioral communities. Instead of thinking of training in terms of dominating control over your dog by becoming the “alpha dog” in the relationship, pet parents will have better, longer term success training with kindness and and respect. By developing a trusting relationship and teaching desired behaviors, your dog will naturally do as they’ve been taught, not out of fear of being punished, but because they are confident and have learned that appropriate behavior is rewarding for them. Myth #2: Dogs need to be punished when they misbehave. 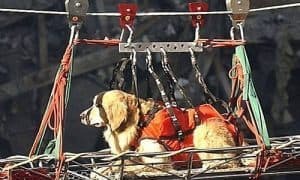 Despite our feelings about them, dogs simply aren’t human. They don’t understand the difference between a suitable chew toy and the corner of your leather sofa – until they’ve been taught. 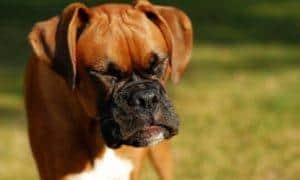 Many pet owners make the mistake of punishing a dog, either by yelling, using an aversive training tool like a choke chain, or even by hitting when their dog has done something undesirable, but fail to teach the dog a more appropriate behavior instead. Over time, this type of training might save the corner of your sofa, but the result is often a dog that’s confused, insecure, and fearful rather than one that’s confident and understands what’s expected of him. Instead of punishing bad behavior, teach your dog that behaving appropriately is more rewarding for him. Reward the good behavior and ignore the bad. Myth #3: Crate training a dog is cruel. Many pet parents, either through imagining the sad faces of shelter dogs spending their days and nights behind bars, or because of thinking of a crate in terms of punishment or restriction, are under the impression that crate training a dog is cruel and unnecessary. This couldn’t be farther from the truth! When used properly, a crate becomes a safe haven for your dog. It becomes a place they enjoy spending time in, where they’re able to relax and feel comfortable and at ease. Many dogs look forward to spending time in their crates and will retreat to them, on their own, when they’re looking for peace and quiet. It’s important, however, that a crate never be used as punishment. 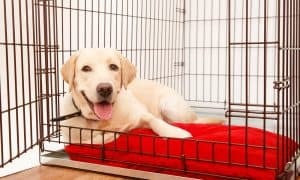 For more details about properly crate training a dog, check out this guide, Crate Training 101. Myth #4: Positive-trained dogs will only listen if you have a treat in your hand. 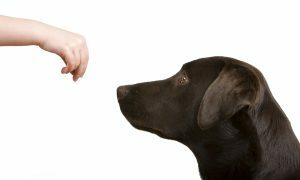 It’s true that in the early stages of positive, reward-based training, you’ll need to have treats on hand and within reach, but this doesn’t mean that you’re teaching your dog she only has to perform for treats. 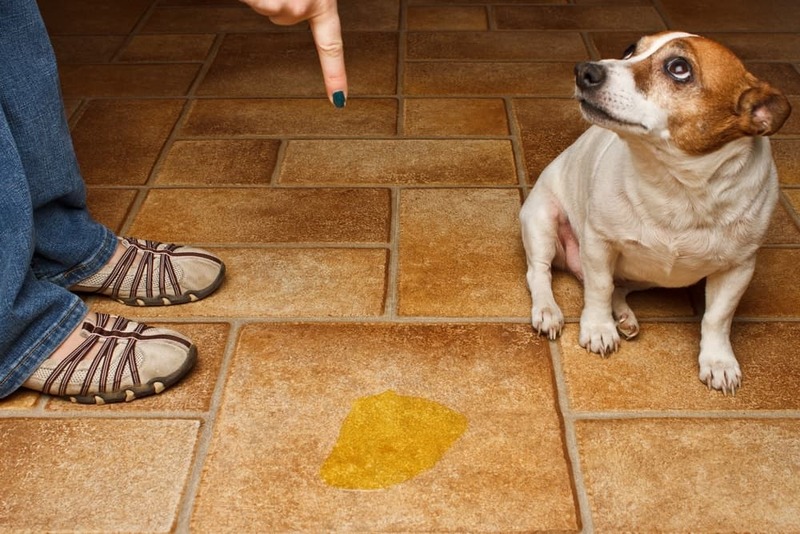 When you reward your dog for good behavior, you aren’t bribing them. Instead, you’re helping to develop an association between your dog doing what you ask and him feeling happy and rewarded for doing it. 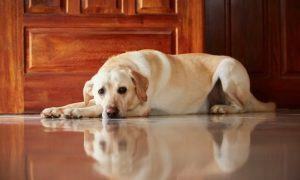 Once your dog has learned the proper response to a cue (like sit or stay) you can begin to phase out the treat rewards. 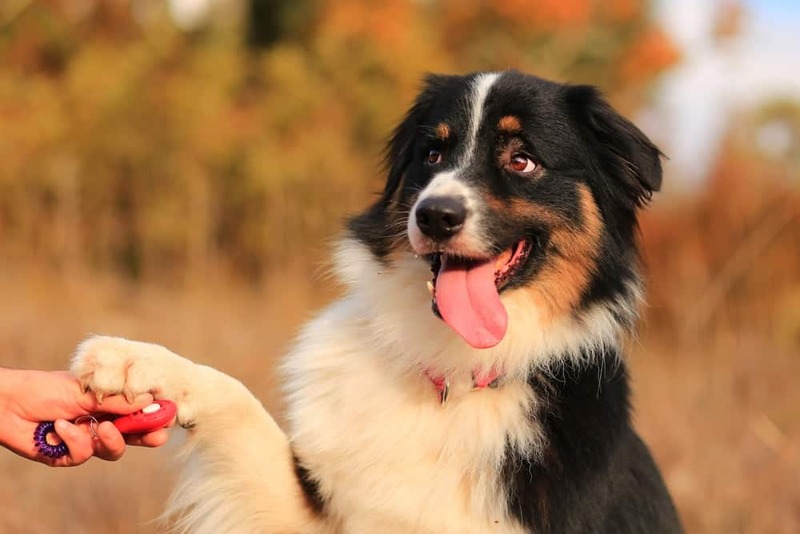 Dogs naturally repeat behaviors that have been rewarding for them in the past, so your dog will continue to respond to cues, even without a treat in your hand. Even though you won’t need a handful of treats at all times, it IS important to continue rewarding your dog, throughout his life, for good behavior. Think of your dog’s obedience as his job. Now, imagine if you went to work and your boss explained to you that you’d gotten so good at your job that they’re no longer going to be giving you a paycheck. Should you no longer be paid for a job well done because your training is over? Myth #5: You can’t train a dog that doesn’t like treats. 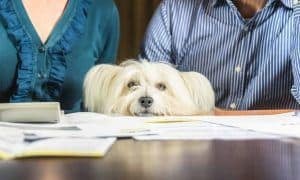 While most dogs will gladly accept treats and other food rewards as “payment” during training, there are some exceptions that are simply disinterested in food. But, that doesn’t mean they can’t be trained! If a dog isn’t eager to work for treats, simply find another source of motivation. A reward for a job well done can be a favorite squeaky toy, a game of frisbee, a quick fetch of a tennis ball, a belly scratch, or simply praise from you. Just find what motivates your dog, what he reacts best to, and use that as your reward during training. 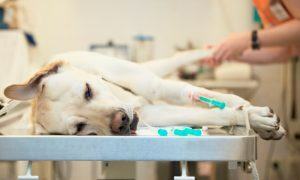 Myth #6: Training a dog is not fun. Believe it or not, some dog owners don’t think of training their dog as a good time. Truth is, if training isn’t a fun, positive, and enjoyable experience for both you AND your dog, you’re doing it wrong! 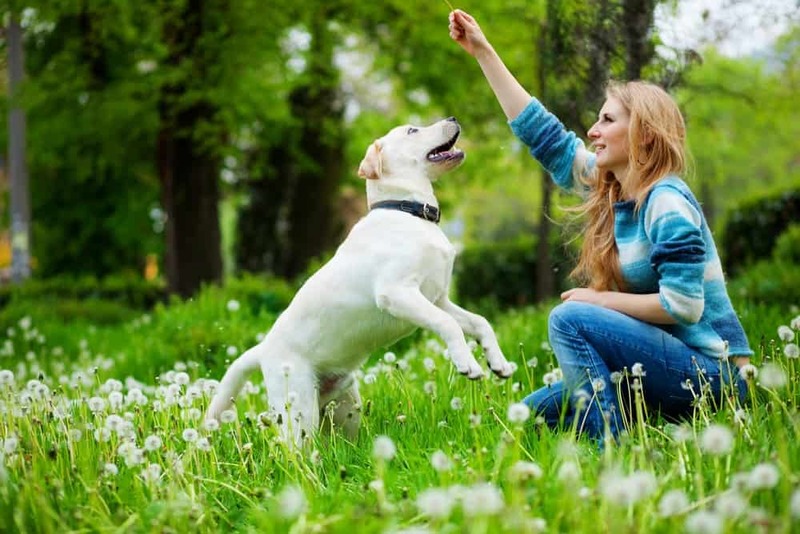 In addition to teaching your dog what you want, need, or expect from him, training is an excellent source of both physical and mental exercise and is an important way for you both to bond. Training, when done right, should not be frustrating, should never make you angry or upset, and should be a fun and rewarding experience for you both. 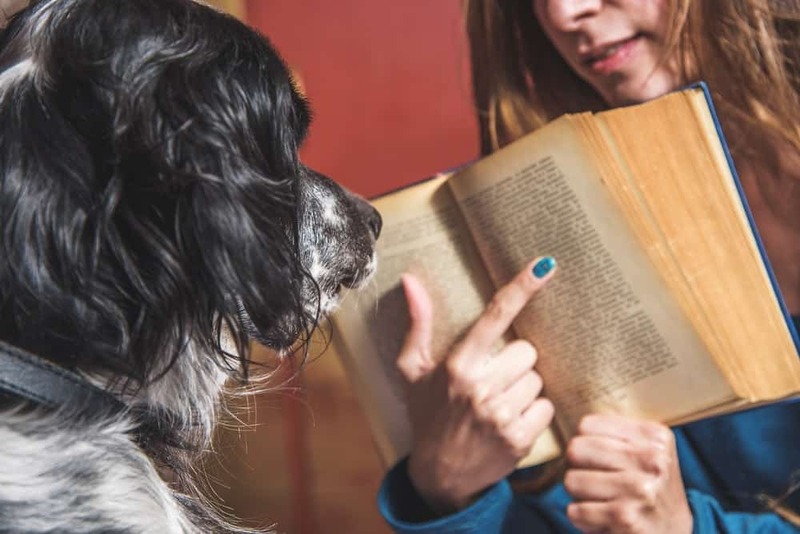 Now that you’ve got a better understanding of what training your dog isn’t about, talk to a certified dog trainer or consult a dog behavior and training book to learn more about what it is all about!